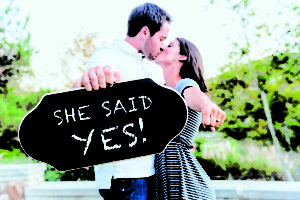 Wedding engagements are one of the most exciting times! From planning the wedding and telling family members to every last detail of your big day ahead. Be sure to include announcing your engagement to your community. The Apopka Chief newspaper publishes engagements free of cost. Use the form to provide details about your engagement. Note: Addresses and telephone numbers will not be used in the news story. They are strictly for verification purposes.